Talking to Billboard, Jake confessed he went through some rough times personally prior to recording his first album. He moved to Los Angeles and found himself in New Orleans. 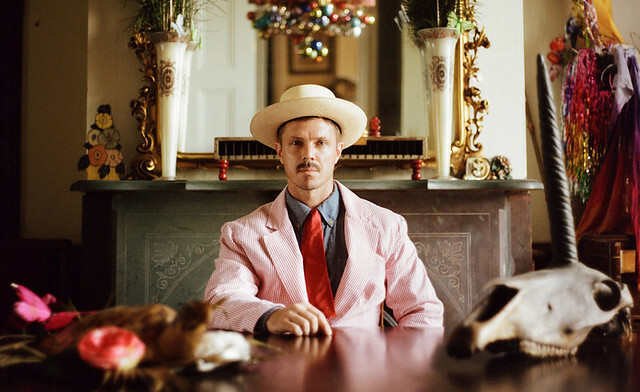 “Jake Shears is a breeze, with members of My Morning Jacket and the Preservation Hall Jazz Band gathering to lay down the tracks in single takes. The result is pretty irresistible, as long as you’re not looking for authenticity, and if you don’t mind vocals that sound like a honky-tonk take on jazz hands deployed in the service of lyrics like ‘Cuz baby I love you/More than the trash can.’ (And that’s a rave, not a read; for Shears, nothing succeeds like excess. ),” Jesse wrote.